As 2014 comes to a close, and sustainability drifts to the forefront of conversation, companies struggle to market sustainable practices to a consumer not quite there. Yet, concomitantly, lagging corporations remain narrowly focused on profits alone. We, the global economy, are at a tipping point. Consumer and investor sentiment is becoming sufficient to reward profitable companies pursuing environmental, social, and governance objectives. Progress is slow, but it is there. On September 22nd, the $860 million Rockefeller Brothers Fund announced its intention to join the Global Divest-Invest partnership and divest all fossil fuel assets by 2020. Rockefeller President Stephen Heintz indicated, “We’re moving soberly, but with real commitment”. The Global Divest-Invest partnership is a collaboration of over 800 global investors that have pledged to withdraw a total of $50 billion from fossil fuel investments over the next five years. In other words, a giant leap forward. In February, CVS announced its plans to abscond all tobacco products from the shelves of its 7,800 pharmacies nationwide. CEO Larry Merlo proclaimed an anticipated $2 billion hit to annual revenues as a result. On September 3rd, all tobacco products had vanished. CVS recently reported 3Q net revenue growth of 9.7%; a 16% gain in pharmacy unit sales had more than offset the estimated tobacco loss. CVS stock has climbed over 35% since February’s announcement. Eliminating tobacco proved green in more ways than one. The ultimate value investor, Warren Buffet, has long paved the way for value-investors world-wide. This year, Buffet doubled his stake in renewable energy. Berkshire Hathaway Energy currently has approximately $30 billion invested in alternative energy assets, dispersed among wind, solar, hydroelectric, and geothermal power. According to Buffet, “There’s another $15 billion ready to go, as far as I’m concerned. It’s where the country’s going”. You heard the man. In 2009, Best Buy announced an initiative deemed, at the time, impossible: to gather 1 billion pounds of electronics and appliances by the end of 2014. Not only did Best Buy exceed its target this summer, but the company pledged an additional 2 billion pounds by 2020. “They did this early. Everyone predicted they would fail at this. This was a brand new paradigm, I give them so much credit for sticking with it, and for growing it.” – John Shegerian, CEO of Electronics Recyclers International. In the latter half of September, Google, Yahoo, Facebook, Yelp, and Uber, among others, all severed ties with the American Legislative Exchange Council (ALEC). ALEC is a self-proclaimed conservative think-tank of corporate lobbyists voting on model bills, proposals that often benefit companies’ bottom lines at the expense of stakeholders. Importantly, ALEC is a (very loud) “climate denier”. Presumably, these Silicon Valley companies realized that affiliation with such climate denial would be detrimental to their brands. New York City Mayor Bill de Blasio excited the green movement when he announced NYC’s commitment to reduce carbon emissions 35% by 2025 and 80% by 2050. (from a 2005 baseline). New York City is the largest city in the world to commit to such a goal. Green bonds, short for “Qualified Green Building and Sustainable Design Project Bonds” are tax-exempt debt instruments for which all proceeds are directed towards environmental projects. Green bonds are not new – the first issuance dates back to 2007. But 2014 portrayed a marked escalation in issuance, a testament to the growing desire on behalf of investors to invest in ways that benefit the environment. From 2007 – 2013 green bond issuance was about $18 billion. Sales more than tripled to $35 billion in 2014. You can expect about $100 billion by the end of 2015. On January 7th, the world’s largest hamburger chain (McDonald’s) announced its proposal to begin purchasing verified sustainable beef in 2016. Subsequent, McDonald’s has been collaborating with the Global Roundtable on Sustainable Beef to 1.) define what sustainable beef actually means and 2.) establish parameters for relevant companies. Stay tuned. On November 20th, NRG Energy announced impressive long-term targets of carbon emission reduction: 50% by 2030 and 90% by 2050. (2014 baseline). NRG, operating one of the biggest fossil fuel plants in the United States, is one of the largest greenhouse gas emitters. In a 2014 report, The Natural Resource Defense Council claimed NRG to be the 4th largest CO2 emitter in the U.S. electric power sector. NRG’s commitment speaks volumes. And they’re doing it right in the middle of downtown Newark, NJ. A mission driven company known as AeroFarms is growing plants – indoors.. The process is called aeroponics, and essentially entails growing plants in mist without using any soil. In other words, 95% less water compared to that of traditional field farming. A true stakeholder victory. When beloved Market Basket (a New England grocery-store chain) CEO Arthur T. got the ax, employees, suppliers, and customers united in disgruntlement. Protests were prevalent. Hundreds of employees risked their jobs. Many were fired. The shelves were bare. But low and behold, Arthur T. returned as CEO on August 27th. The Market Basket Saga is exemplary of the potential power of social movements. Further, Market Basket epitomizes the notion that business is not zero-sum. It is possible for customers, employees, and management to all emerge as winners. 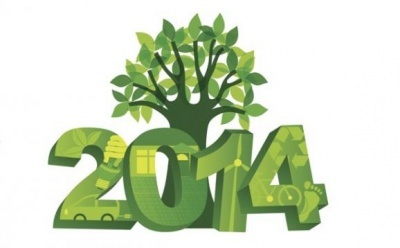 As 2014 comes to a close, we can applaud numerous companies, countries, and even individuals, for their sustainable efforts all around the globe. I hope you’re all excited to witness, and perhaps even influence, what can only be predicted as greater achievements in 2015. I know I am. Thanks for all the insight ! Thank you. Great work and perspective! I should comment more frequently. thank you! Several people at the company now subscribe and thank me for telling them about your site. Have a Great New Year. Hopefully 2015 will see much progress. Excellent blog and a great year end post…I’d add to the “winners” list the National Hockey League, which, in partnership w/ Constellation Energy (subsidiary of Exelon), announced it is going to offset all of the carbon emissions associated w/ the league office and the 30 teams (including travel, arena operations, etc.) Not a huge amount of emissions in the scheme of things but, due to the high profile of sports, a very big deal indeed. 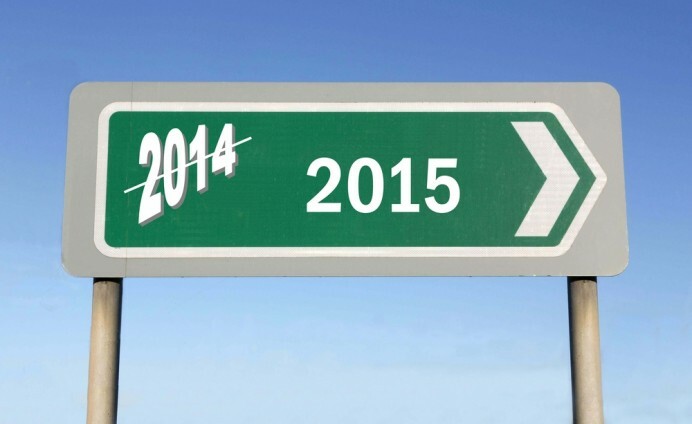 Looking forward to reading your posts in 2015! Great 2014! Here’s to 2015. Your website is awesome! Thank you. And thanks for the climate presentation! Your website is awesome! thanks, Cheers!